Good Morning guys ! It's Monday ! New week, new motivation ! Some of you guys probably have the same feelings, but big amount of society things about Monday like about hell. No ! Keep on going, find your best smile and stay positive ! It's curious that looking on my posts I can see two completely different categories. Ones where I'm sharing the positive vibes and this completely depressive ones, about school, exams and all this stuff. But I think that it's completely okay, because it shows that VICIRAGE is my complete diary, I'm not writing deaf articles without any emotions. It's like I'm writing to share with you my feeling to the whole world surrounding us ! There are few kinds of people, this whore are more outgoing like me and this more closed ones, which may think that what I'm doing is weird. Sharing your life with all the world around. Sorry, that's white I like ! 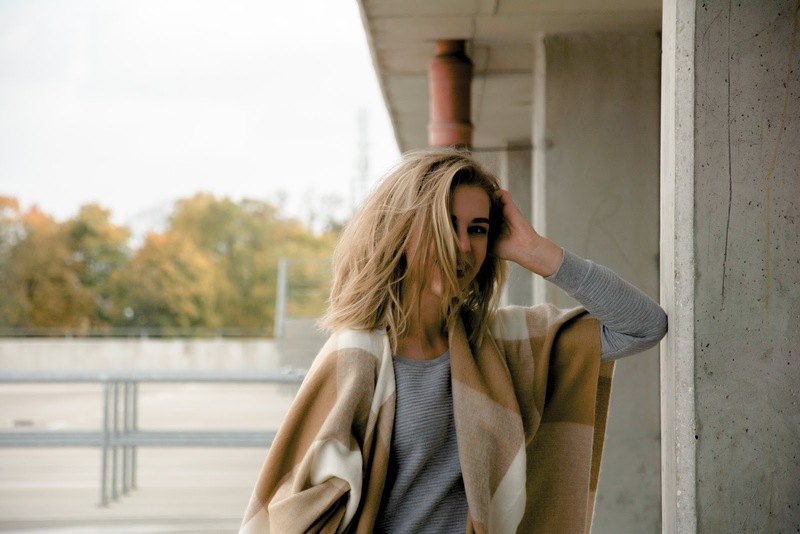 The look featured in this post is from category of this completely cozy, like pyjama. As you can see ( my messy hair ) I was after all day in school. Grey casual option and super soft and warmy scarf. 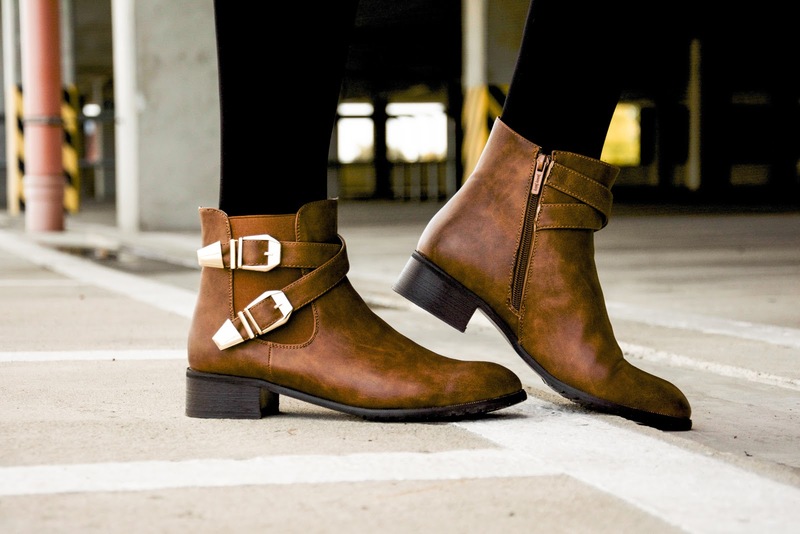 Flat's are the must have, no heels those day, just this pretty brown booties. It;s like the perfect composition to spend a great fall day at school and stay focused on learning, not on uncomfortable skirt or t-shirt with too deep neckline. Nowy post z recenzją kuracji kolagenowej na moim blogu, zapraszam. I love it!!!!! You look beautiful! 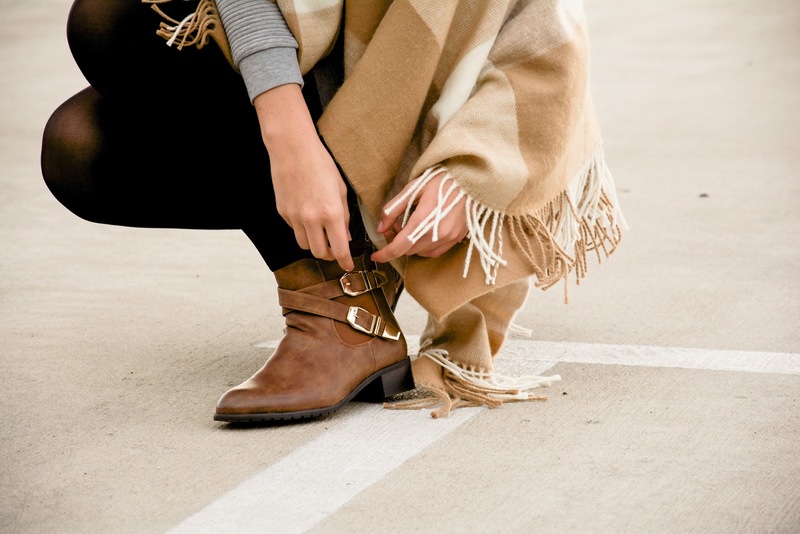 Thanks for sharing this look, nice styling and the scarf is so cool for fall! You look perfect! I love your hair! Love this outfit baby!! So confy and stylish!! Looking good, lady! Love that scarf!